Born in St. Louis, Guillaume “grew up in poverty,” said The New York Times. His father abandoned his mother, an alcoholic prostitute, before he was born; Guillaume was raised by his grandmother after his stepfather “struck him in the head with a red-hot poker.” After briefly serving in the Army in World War II, Guillaume enrolled at St. Louis University to study business. But his real passion was the stage. He left school to serve as an apprentice at theaters in Aspen, Colo., and Cleveland, and in 1960 he moved to New York City. Guillaume quickly established himself as “a force to be reckoned with,” said NBCNews.com. 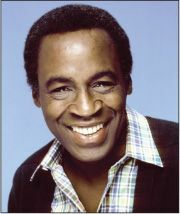 He earned a Tony nomination in 1977 for his role in “the first all-black version of Guys and Dolls” and won two Emmy Awards for his work as Benson.